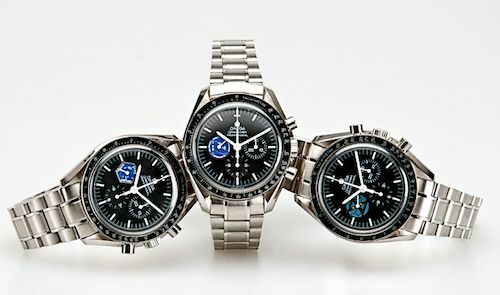 It is Speedy Tuesday and we have this Speedmaster Missions box for you! Although I’m at the SIHH in Geneva, following presentations and doing pictures for our #instagram channel (follow fratellowatches on instagram), nobody can hold us down!! Today’s Speedmaster topic is the suit case with all the Speedmaster Missions models, a Speedmaster 1957 re-redition and a spare OMEGA caliber 1861 movement. 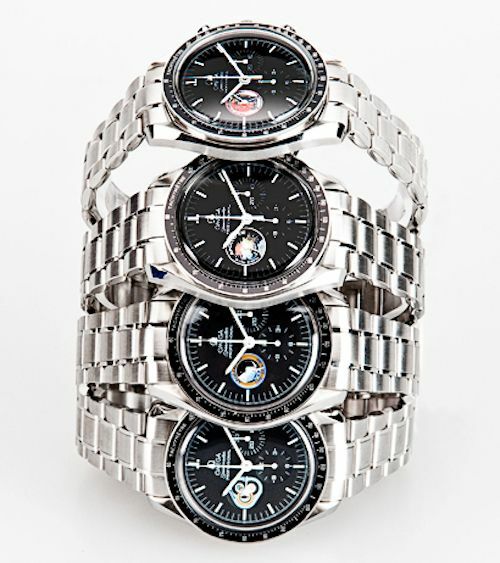 There are 50 of these cases by OMEGA, introduced in batches of three. 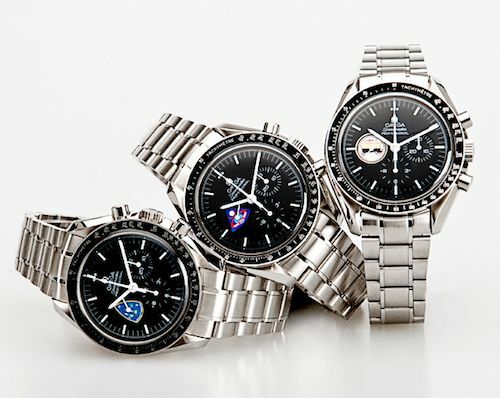 The first batch of the Speedmaster Missions collection was 40 suit cases in 1997, and afterwards OMEGA produced / sold another 2 x 5 cases (1 in 1997, 1 in 1998). Although I am not sure what the list price price was of this case at the time, I’ve found one at WatchFinder.co.uk for approximately $200,000,- USD. 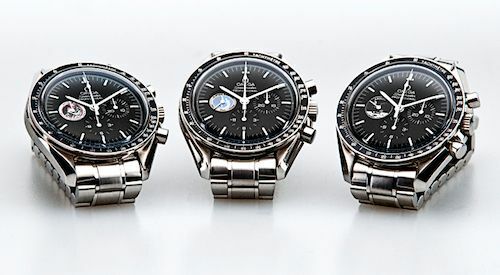 It consists of the 22 Speedmaster Missions models and the aforementioned Speedmaster ’57 Re-edition or ‘Replica’, although replica is a bad chosen term. For obvious reasons of course. 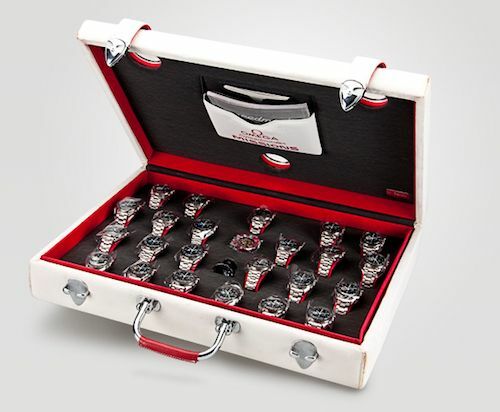 Besides the 23 watches in total, the Speedmaster Missions suitcase also contains a spare Lemania based caliber 1861 movement. At the time of the introduction of this suitcase, it was an all-new movement and successor of the caliber 861. 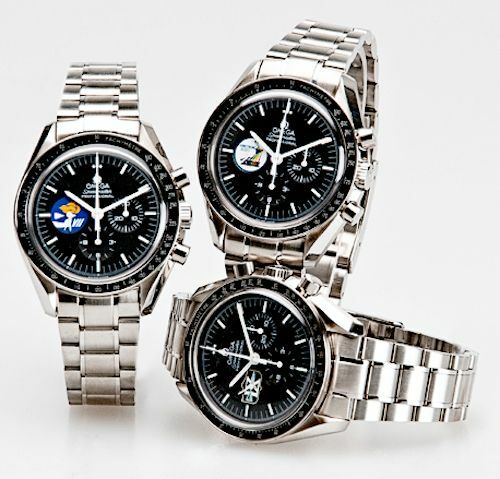 All the Speedmaster Missions models are there, from the Gemini V mission to the Skylab mission in 1974. 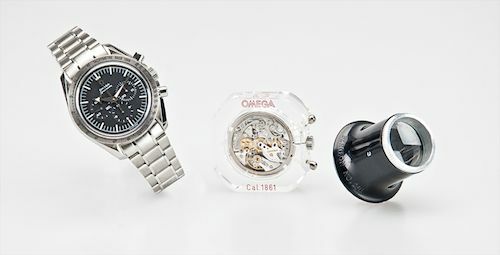 OMEGA also released a number of mission models that you could buy separately, like the Gemini IV model with the blue dial for instance (we reviewed this Speedy before). All the Speedmaster models in this suitcase are ‘Speedmaster Professional’ models, except the ’57 re-edition that doesn’t feature the word ‘Professional’ on the dial. 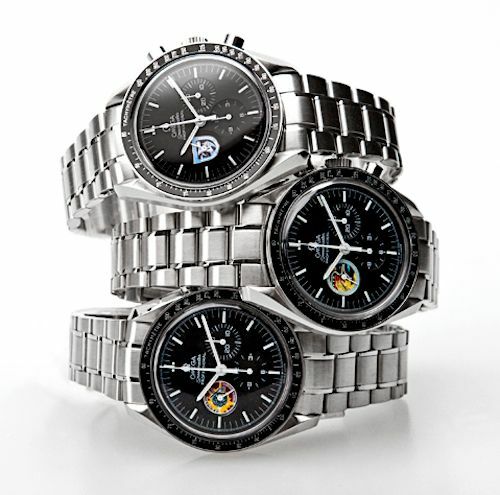 It also has the applied OMEGA logo at 12 o’clock, something a lot of collections fancy to have. 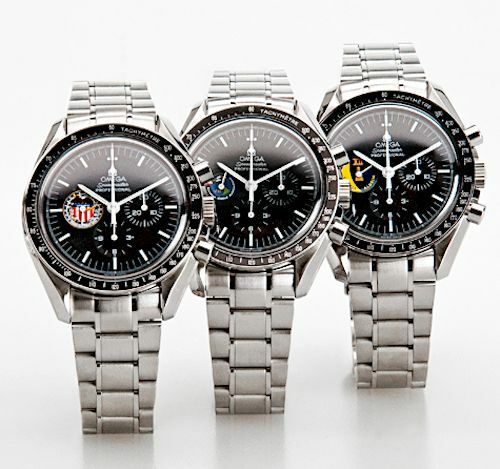 One of the most popular Omega Speedmaster Missions watches that you could buy separately was the Speedmaster Apollo XIII model. Prices for this model have gone up (over 5000 Euro) when in good and complete condition. We expect that the other mission models also will rise in value in the next coming years.